The island of Bora Bora is actually a volcanic caldera. This geography has produced a lagoon, well protected from waters by the surrounding motus . The lagoon, and the tropical underwater life, including sharks and rays, provide fantastic opportunities for many forms of water-based recreation, ranging from swimming, through snorkelling and to scuba and other options if you truly want to immerse yourself in this unique environment. In addition to the sights under the surface of the lagoon, the dominating and unusually shaped peak of Mount Otemanu which reaches 728 metres above sea level, and its smaller neighbour Mount Pahia are also worthy attractions. The combination of the beautiful lagoon and these impressive peaks provide an almost endless supply of opportunities to take travel photos which will leave your friend back home cursing you for sharing them. Very few go to Bora Bora for the historic relics. However, if you have seen enough of the lagoon, you might want to take a peek at the few WWII remains and the archeological Polynesian relics in one of the tours of the island. Bora Bora Lagoonarium. A certified diver acts as underwater guide as you swim and come face to face with the turtles, sharks, sting rays and numerous other fish which call the lagoonarium their home. As the "...rium" name implies, this commercial aquarium is a captive, enclosed zoo-like environment, preventing free movement beyond the confines of the establishment. For those that are not into diving, there is a little submarine. Numerous travelers that have voted this as an all time favorite. There are comparatively more activities in Bora Bora to keep you occupied than in other islands of French Polynesia. Being practical while lazing under the sun in a white sand beach, a good book will be in every case a very useful item to bring. As weird as it may sound it actually sometimes rains in Bora Bora (and sometimes even a lot). The vast majority of the activities take place outdoor, and there are no cinemas, libraries or museums to visit, so even if large resorts do lend books and games, bring some good reading with you. The tropical sea sometimes reaches 86F (30C), making it perfect for various water activities. Swimming in the lagoon in perfectly clear warm water has the advantage of being free and can be very enjoyable. The beaches of Bora Bora are not huge by any standards, nor are they crammed with people. The most famous beach, Matira Beach is at the southern tip of the main island. 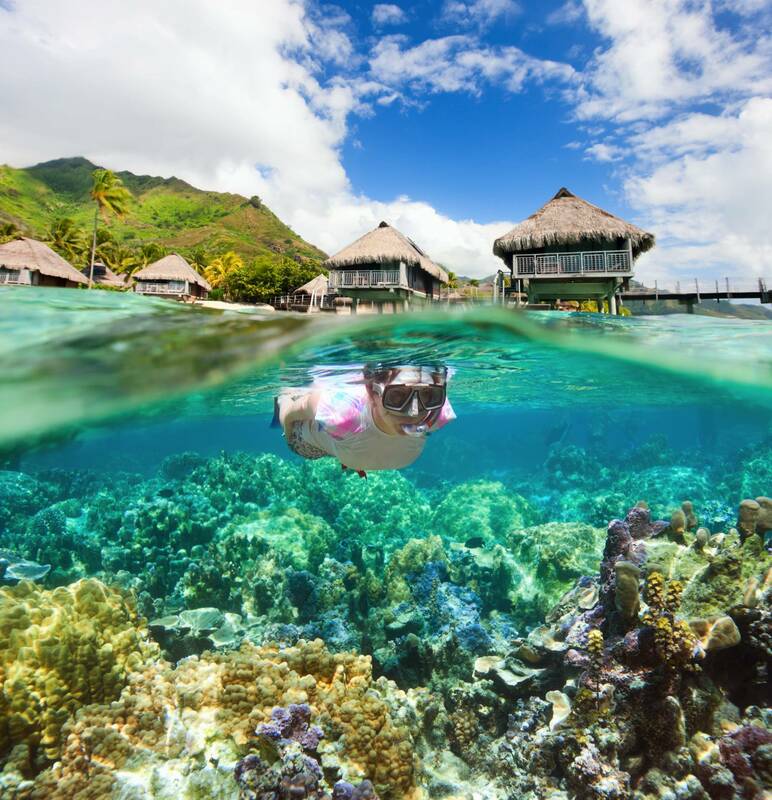 You do not have to pay a lot to enjoy Bora Bora. Just like swimming, snorkeling is possible in many areas close to the shore, and even in Matira Beach you will be surrounded by multicolor tropical fish in seconds and in shallow waters.. Just remember to get out and put on sunscreen from time to time as the sun is strong and you will get burned badly if you stay in the water for an extended period of time. Shark & Ray Snorkel Safari. Shark and Ray feeding is typically done in shallow waters inside the lagoon. Approximately 10-20 sharks as well as 10-15 Rays will approach the boat and swim nearby, largely avoiding any snorkelers courageous enough to swim near. Windward Islands Yacht Charter. 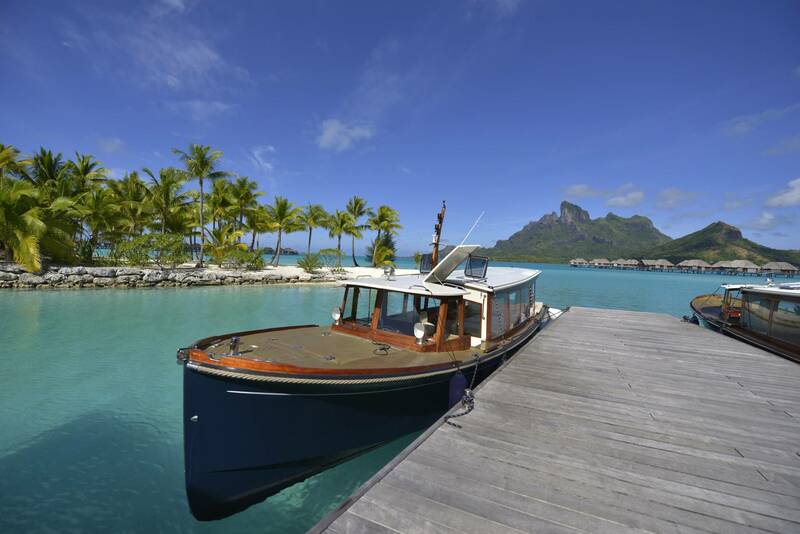 One of the worlds largest yacht charter companies, can take care of all charter requirements, from bareboat to luxury yacht in French Polynesia. Operating from different offices worldwide (UK, USA, Hong Kong, Dubai, Germany, Italy, France, Spain and Switzerland). Aquasafari. If you do not have a diving license, but still want to enjoy the underwater scenery, this is an option. You do not actually need to know how to swim in order to wear the breathing undersea apparatus, and children from 8 are accepted. Jet ski tours around the interior island are well worth the effort as they allow to appreciate the scenery from various viewpoints, although they do inflict noise and pollution. Kiteboarding is getting popular at the Southern tip of Matira. The island is about 20 miles around, and bikes and small cars are available for rent at various sites. It is well worth the investment to ride the perimeter of the island. The Jeep tours are well worth a trip. You'll have a good time climbing through some rough trails on the island, and you'll get some breathtaking views. In addition, you'll tour the American WWII ruins, such as gun emplacements and bunkers. It is possible to access the summit of Mt. Pahia by foot, although neither the staff at City Hall nor the Gendarmerie will tell you how if you do not have a guide, as even adept hikers have gotten lost or been injured. To access the trailhead, head 100 m (330 ft) north of the cross-street into Vaitape harbor. There will be an arcade of shops to your right. Look for a dirt road between the antique dealer and snack toward the north end of the arcade. Head up the dirt road about 150 m (465 ft) and look for a small grass field on your left that is just before the last house on the drive. It is wise to ask the owner for passage, as you must traverse privately-owned property to access the trail, which will initially appear faint but become more defined after the first 10 m (33 ft). Continue along the trail until you reach a fork, which will have two other trails heading north and south (through a plantation and an open field, respectively), and the main trail up to the top due east. Make sure you are well-provisioned, as the 600 m elevation gain takes place over a relatively short distance, and be sure to identify the trees or rocks with white-red-white striping that will show you the way. Some of the latter sections can be precarious, so make sure you keep your grip and be courteous to those who may be downstream of falling rocks unintentionally loosed by your foothold. The rope climb at the end is exciting! If you want more, head south along the uncommonly-traveled trail for iconic views. 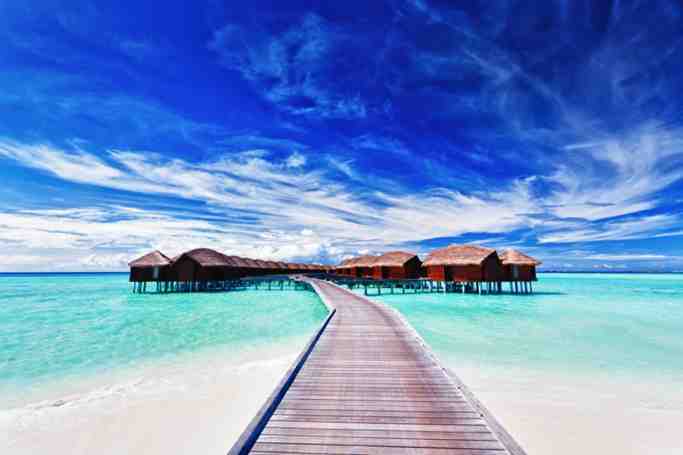 If you decide to travel to Bora Bora no need to panic about accommodations and adjusting. There are many activities that are cost free, like swimming in the lagoons, swimming with dolphins, shark and ray feeding, and enjoying the famous sunset. Most destinations are aquatic oriented, that may also include scuba diving and snorkeling. Besides the water activities there are many other activities like parasailing, deep sea fishing which is one of its kind in the world since Bora Bora is home of over 500 species of marine wildlife. There is also family hiking and climbing trails. On the relaxation part the island is filled with natives specializing in ritual massage services. There are also private lagoon cruises, bus tours, and many Motu hangouts. The island also offers flight seeing, along with helicopter tours. What to see & do | eTips Inc.